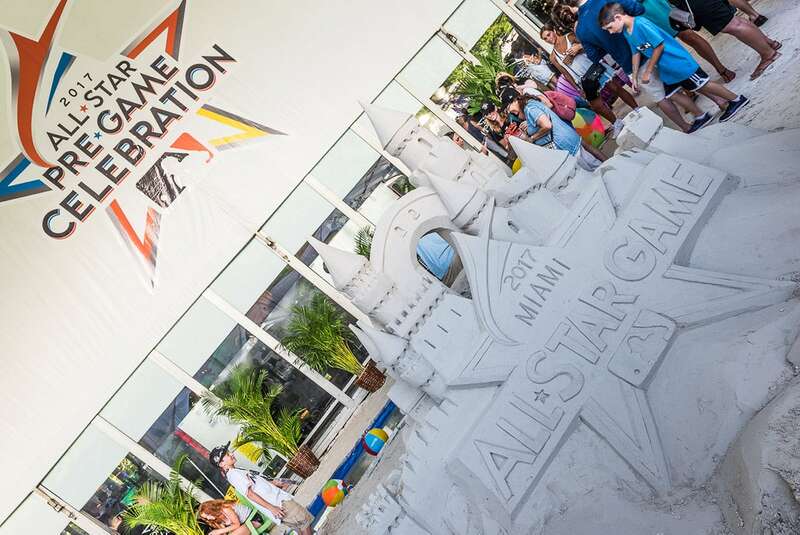 After impressing the MLB All-Star committee with a strong and detailed plan to WOW Miami with a unique sports marketing concept, Innovative Group was brought on to conceptualize, design and execute a turnkey build of an empty parking lot adjacent to Marlins Park, playing host to MLB’s premier All-Star Pregame Celebration for 4,000 guests. Innovative Group created a jam-packed event schedule within a 30,000 sq. ft. climate-controlled structure, and surprised guests with live DJ’s, MLB team mascot appearances, and a private performance by the hot talents of Latin Grammy Award winner, Nicky Jam. There was something for everyone to enjoy in the hot shade of Marlins Park. From cigar rollers, to domino tables, to salsa dancers, to a live artist from Wynwood creating a Miami celebratory art item to benefit the Marlins’ Foundation, an interactive Barber and Shave Shop from The Spot, along with an interactive PS4 gaming zone. And what's Miami without a beach? 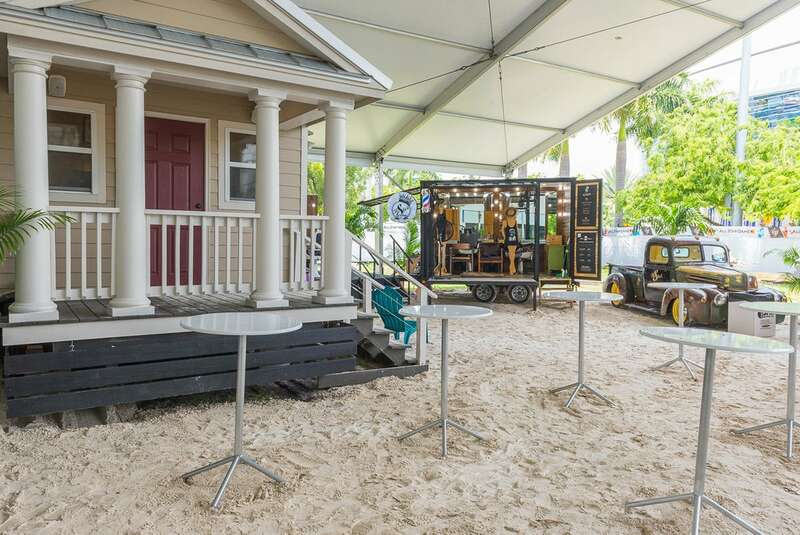 We brought in 5 dump trucks of sand and created All-Star Beach, complete with VIP cabanas, a live sandcastle build, corn hole, Mojito bar, lap pool and private GameDay Traditions Beach houses. MLB and their VIP’s and key stakeholders were also treated to the finest cuisine the city has to offer, with special and unique catering dishes created by world-class chefs...Chef Jose Medin of Baja Bao, Chef Bernie Matz of Ricky’s, Haves & Wholes, and Bodega, Duo chef Andres Barrientos, and Chef James Bowers at Miami’s Smokers. The team of culinary experts brought their A game with crowd favorites being Bacon Wrapped Plantains and the Barbacoa Taco, packed with short rib and cojita cheese. Super VIP hospitality bars were found in every corner that featured local favorite cocktails and plenty of cold Anheuser-Busch products. Innovative Group led the way with extraordinary event ideation, logistics and an unprecedented imagination of all things festive to show the diversity and vibrancy of Miami, which together created a truly never before experiential event for Major League Baseball and their guests. It was a total sports experience for the baseball enthusiast!